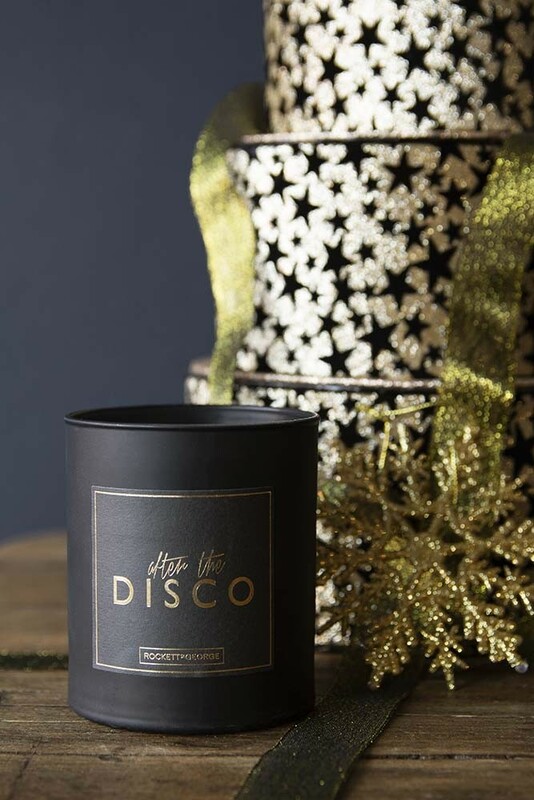 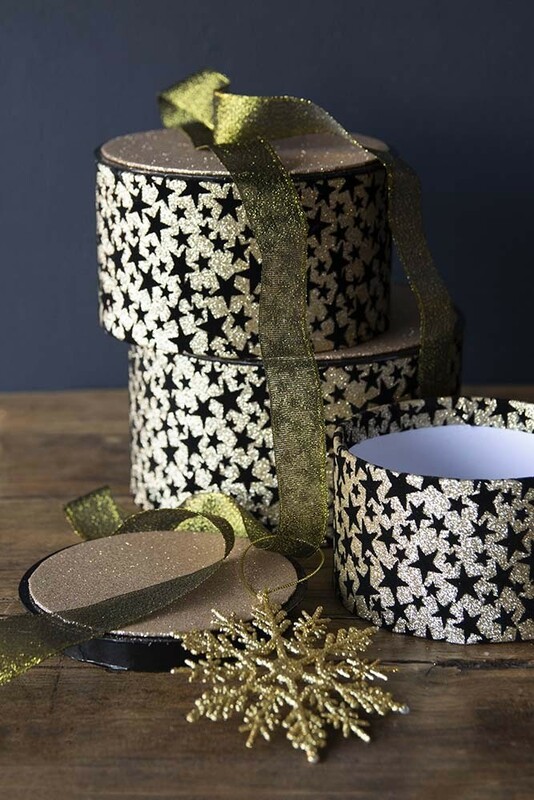 A gorgeous set of circular gift boxes the Set of 3 Gold Glitter & Black Star Gift Boxes are the perfect quick and easy gift wrapping essential. 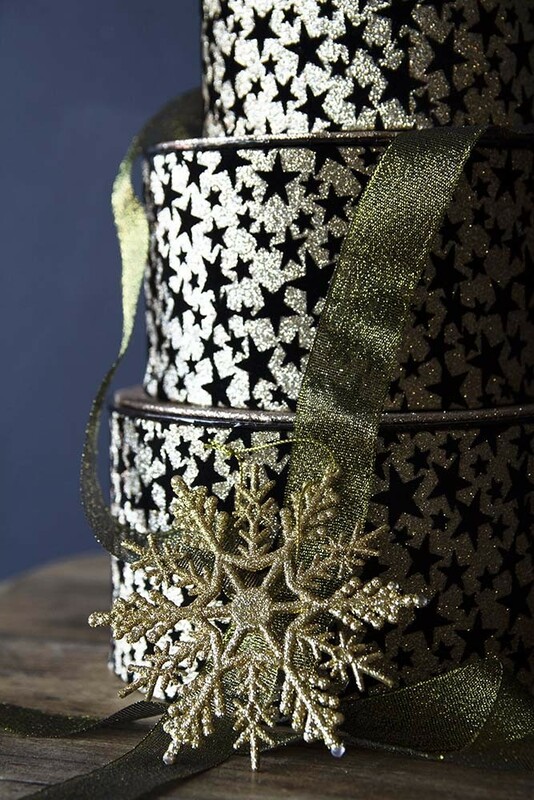 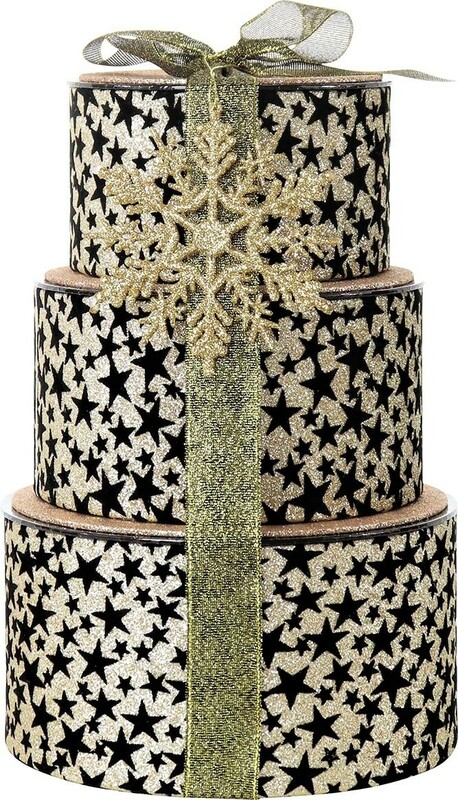 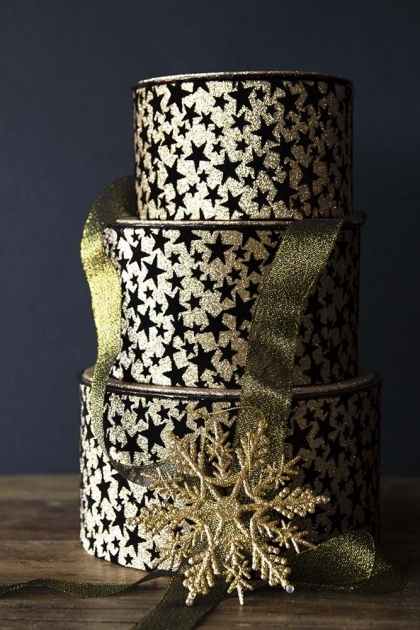 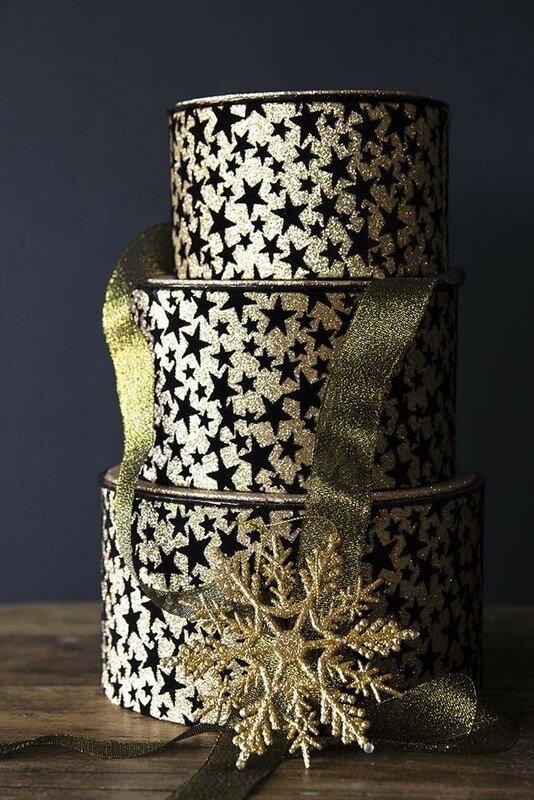 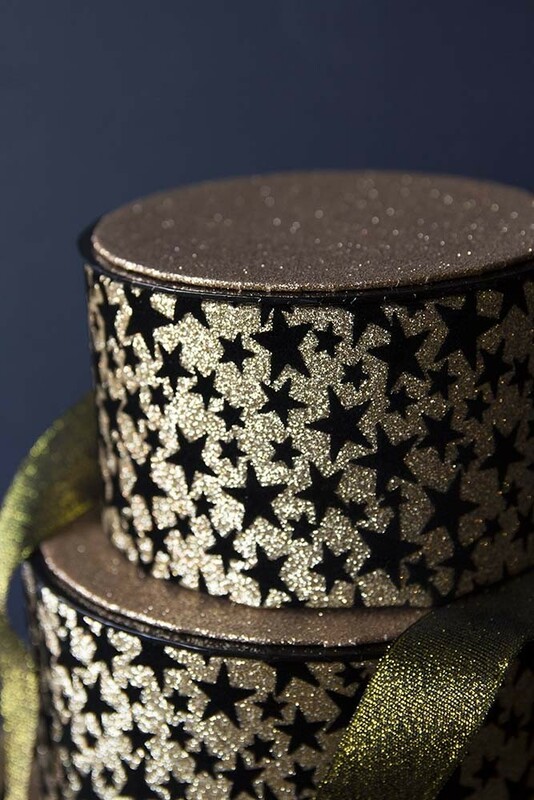 A great presentation idea to disguise presents that would be easy to guess if it was wrapped in gift wrap the gift boxes feature a super sparkly golden background with black sparkly stars and golden lids. 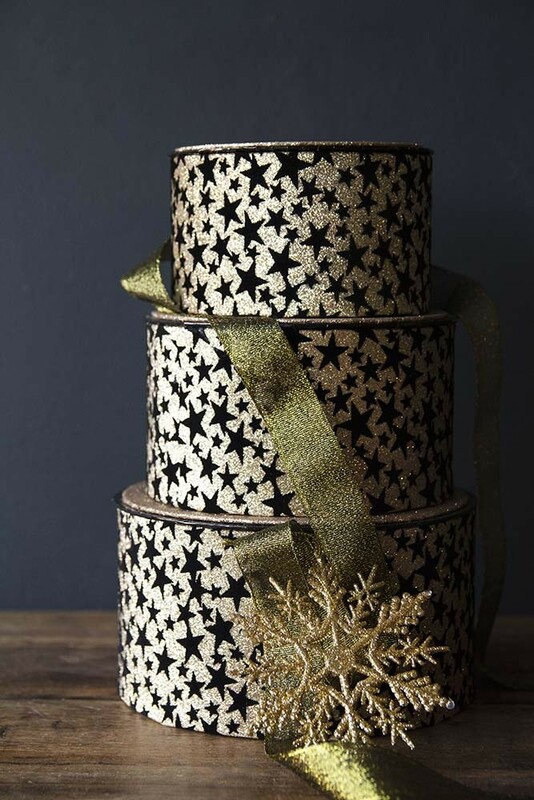 Gorgeous gift boxes, we think that the Set of 3 Gold Glitter & Black Star Gift Boxes could easily be used as storage boxes all year round!